Looking to bring a sense of purpose to your basketball development? Sign Up Here to get a FREE 7 Day Trial of our Basketball HQ Pro Membership. It only takes a couple of minutes to get complete access to 100's of Basketball Drills, Workouts, and Training Groups for all skill levels. After seven days of trying our Pro Membership absolutely free it is only $9.99 a month or $99.99 for the entire year. Still not sure? Enjoy our 25 Newest Drills right now without signing up for anything. 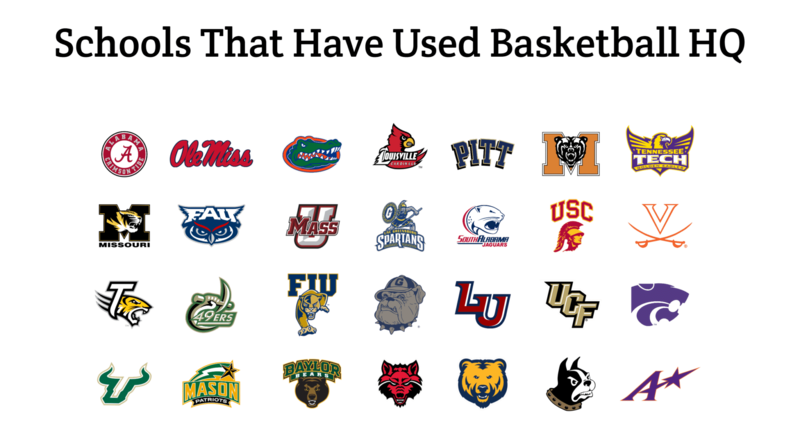 Let us help you get where you want to go as a basketball player or coach. Along with offering a lot of training content, we also provide quality, expert content. Our training videos are instructed by expert college and professional coaches that have coached at the highest levels. These training videos are going to allow you to have all of the tools that you will need in the gym with you. With our iPhone and Android apps, you will be able to access this content more accessible than ever. This is going to allow you to instantly know hundreds of different drills to use with your team or on your own as a player. Are You A Basketball Coach? Regardless of how experienced you are as a coach, it is always good to still be learning. With the Basketball HQ Pro Membership, you are going to be able to do just that. You will get access to a ton of great resources whenever and wherever you need them. Along with continuing to learn, you will be getting access to a wealth of resources as well. With the hundreds of expert training videos that we offer, you will be able to have a library of drills that you can access at any time. That means that your workouts are always going to be fresh with new drills and your players are going to continue to be challenged. With drills broken down by skill level, position, type of skill, and more, you will be able to find exactly what you are looking for when it comes to developing specific players or groups of players. Also, within the Pro Membership database, you will also get access to training videos that focus on speed, agility, vertical, the weight room, and more. So if you are also your team's strength coach as well, you are definitely going to want access to all of this content. And last but not least, you will also get access to workout plans that our experts have already put together. There is an entire training group geared for coaches that offers entire team workouts, workouts based on position, specific skill workouts, and more. This is going to allow you to have expert workout plans for your players. It will also give you a template to work from as well where you can add and drop specific drills as well. With all of these resources and being able to access it anywhere online or with our iPhone or Android app, a Pro Membership at $9.99 a month is a no-brainer for any coach. 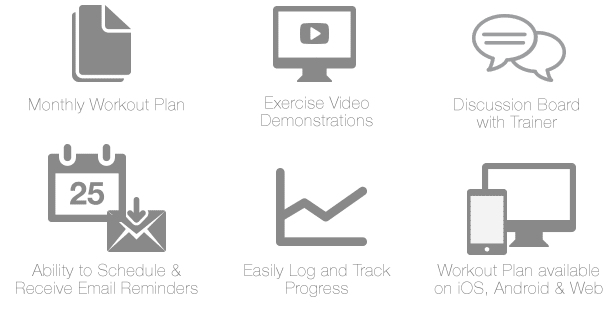 So sign up for our FREE 7 Day Trial Today and start taking advantage of all of these excellent training tools. Are you a Basketball Trainer? As a Pro Member, you will get access to a database of 800+ training videos that you can use with your clients. Also, set up a Custom Training Group for all of the players that you train and allow them to have their own log in and training dashboard for at home use. These training videos are going to focus on every different skill you can think of as well. That means that you will have an endless amount of workout combinations that you can put together right at your fingertips. So along with the drills that you already know, you will be able to have a vast library of new content that you will be able to continually rotate through. Also, if you are looking to set up training for your players to take home, we offer custom made training groups. In these custom groups, you will be able to send your players home with workouts that they will be able to do on their own. Players will each have their own dashboard and access to the training group. Shoot us an email at Info@BasketballHQ.com for a full breakdown of everything that is offered in the Custom Training Groups. Whether you go with a Custom Training Group or a Pro Membership for yourself, as a trainer, you are definitely going to want to take advantage of all the training content that is offered. Are You a Basketball Player? Along with getting access to all of our training videos in library form, you will also get access to player-specific training groups as a Pro Member. Inside the Pro Membership, you will be able to choose from a complete skills training group, a shooting development group, a ball handling group, and more. You can choose whatever workout group best fits what you would like to work on. After choosing the group, you will get workouts in our app that you can take to the gym with you. These workout plans will breakdown every drill with a video, the time spent on the drill, number of sets, drill tips, and more. It will be just like an expert coach in the gym with you. This means no more confusion in the gym as to what you should be working on. Everything is going to be provided for you, all you need to do is show up and put in the work. This is only for players that are serious about developing their game though. Are You the Parent of Basketball Player? As a parent you the ability to be a pivotal piece in helping your child accomplish their dreams. So if you have a child that loves basketball and you want to help them become a better player, our resources are going to be perfect for you. Regardless of how experienced you are with basketball, our videos are going to breakdown every drill in a way that will help you be able to teach it to your child. Also, with all of the different types of drills that we offer (800+ drills), you will be able to help your child work on whatever is needed. So whether it is ball handling, shooting, defense, or whatever skill, we are going to have multiple training videos that you can select from. And, with our Training Groups as well, you can simply follow the workout plan as you help your child through a workout. Our Pro Membership resources are going to be perfect for any parent that is looking to be more active in their child's basketball career. All of our basketball coaching articles are written by expert coaches, most of them still currently coaching in college or professionally. These articles are going to be geared for coaches and written on a variety of topics. Topics will consist of skill development, in-game management, relationships, strategy, and so much more. So whether you are interested in learning more about a specific topic, or just wanting to develop your overall coaching knowledge, make sure to visit our free library of coaching articles. And, if you have any questions on a specific article, make sure to leave a comment on the post, and we will make sure to answer it as best we can. Learning the right way to do something before throwing yourself into the gym, can make all of the difference. Our player training articles are going to allow you to learn from expert coaches and better master different skills, mental toughness, being a great teammate, and so much more. All of these articles are going to be written with the player in mind, and are going to be for all levels of play. Make sure that you are spending the needed time on your basketball IQ as you are on your physical skills. If you are the parent of a child or multiple children that love basketball, this is going to be the section for you. These free articles are all going to be geared for basketball parents and will cover a variety of different topics. So whether you are looking to take a more active role in your child's basketball career or just want to learn more about what they are passionate about, you are going to be able to find some key resources here. Coaching youth basketball is a fun and rewarding job, but it is also a crucial stage of development for a young player. Our youth basketball articles section is going to provide you with the resources that you need to make to be the best youth basketball coach that you can be. So along with making sure that you sing up for our Pro Membership to get access to all of our training videos, make sure that you take advantage of our free youth basketball articles. As a completely free resource to coaches, we offer a variety of different basketball plays that come with video, and tips and keys breaking down the play. Also, you will be able to find plays based on the type of set as well as the team that ran the play. So if you need some good sets for your team or just enjoy learning new basketball plays, make sure to check out all of the free plays that we offer. Regardless of whether you are a coach, player, or parent, our basketball drills section is going to have something for everyone. 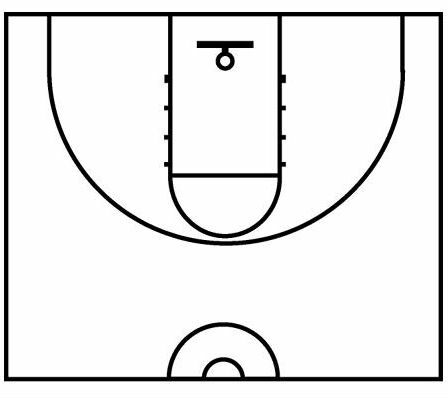 From shooting drills to dribbling drills to pretty much anything you can think of, our drills database has it all. And, while written instructions are great, all of our drills come with a video breaking down the drill as well. This will make sure that you are able to watch the video and not only understand how to run the drill but to be able to master the details of the drill. 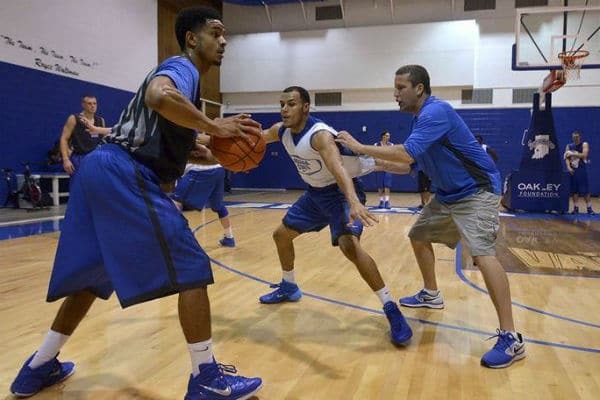 All of the drills are instructed by expert college and professional coaches and demonstrated by a high-level player. This is going to allow you to be able to learn new drills and master new moves like never before. The game of basketball continues to become more and more driven by athleticism, speed, quickness, vertical, and strength. And while you may not be an expert strength trainer or have access to one, our training videos also encompass drills that are going to work on developing a player physically. will allow both players and coaches the resources that they need for the weight room and developing athleticism with a team or individual. Each drill is going to be broken down so that not only can you understand the drill and what it is asking for, but the details of each movement. These details are what allows for serious athlete development. One of the best things about what we offer is the constant flow of new content. On a regular basis, we update our site with new training resources for players, coaches, trainers, and parents. These new resources are listed in their respective categories, but they are also listed in our new content page as well. Our new content page features the latest 25 posts and is a must for those who love to stay on top of new basketball resources. So head over to see our latest content, and also favorite it so that you can continue to take advantage of all that is offered.